Note: The article offered a Video as an example of the effects of not trimming to neutral before hitting Cut-Off. After reviewing the effects of the video in the context of the article, MentourPilot decided we should leave the text but not include the video any longer. MentourPilot’s YouTube channel is an independent initiative to offer the public correct and positive information of all the work which is behind their safe travel in the skies. In the sensitive situation of an ongoing investigation of the crash of ET302, where not all facts are on the table, he concluded after discussing the impression the video left with a colleague, it was not in line with his intent of setting up the channel. In the haste of the change we took this as his company not wanting the video aired, it was not. As facts in the ET302 case comes forward we will discuss with MentourPilot if this situation changes. April 03, 2019, © Leeham News: The crew of Ethiopian Airlines ET302, which crashed with 157 people on board, used the prescribed Stabilator Trim Cut-Out switches to stop MCAS, according to an article by Wall Street Journal today. Yet still, they crashed. We’ve had the information this could indeed be the case for several days, but we didn’t want to speculate in such a sensitive matter. The Wall Street article cites information coming from the investigation. By it, we can now reveal how it’s possible the aircraft can crash despite using the Cut-Out switches. To verify, we ran it all in a simulator together with MentourPilot Youtube channel over the last days. Figure 1. ET302 ground speed as long as FlightRadar24 could follow the flight. Source: FR24. The information around the ET302 crash, which comes forward piece by piece, points to an almost identical chain of events to JT610. It also points to the pilots being briefed and, to the knowledge we have available, following procedures including the procedures for a wild running MCAS. How could ET302 then crash? The FAA and Boeing issued an Airworthiness Directive 2018-23-51 on 8th of November 2018 on what Emergency checklist to use to avoid another MCAS caused crash? The crew should execute the “Trim runaway” emergency checklist. Two weeks ago I wrote: the flying with a full nose down Horizontal Stabilator trim was possible on a 737. The pilot could control the aircraft with his elevator control via the Yoke, even against a full nose down MCAS trim. This was verified in a 737 simulator by a US airline. At the time, I asked what the flown speed was? The answer I got was; the typical speeds after Taking Off. In subsequent discussions with MentourPilot, a YouTube channel with millions of viewers, I was informed this would probably not be true for higher speeds. MentourPilot’s experience when examining hundreds of pilots as Type Rating Examiner for the 737 was the elevator got exceedingly heavy at higher speeds and manual trimming at the slightest miss-trim of the Stabilator from neutral Yoke forces was very difficult. He also pointed out the high speeds observed in ET302’s FlightRadar24 trace (Figure 1) were logical. It’s a consequence of following the Emergency checklist for “IAS disagree” (IAS is Indicated Airspeed, i.e. the dynamic air pressure experienced by the aircraft) after takeoff. The combination of the preceding checklist followed by an MCAS Trim Runaway checklist could create a situation where manual trimming after a Trim Cut-Out would be difficult to impossible and would require non-checklist actions. Combined with the speed which follows from an “IAS disagree” Emergency checklist procedure the Pilot Monitoring (PM) could have problems to move the trim while Pilot Flying (PF) would fight to hold the Yoke against the elevator forces. At a larger miss-trim, the situation is unattainable. The excessive manual trim forces have been confirmed by an airline pilot which has done 737 test flights after elevator maintenance, where manual trimming needs to be checked. At a miss-trimmed Stabilator, you either have to re-engage Electric trim or off-load the Stabilator jackscrew by stick forward, creating a nose-down bunt maneuver, followed by trim. Stick forward to trim was not an option for ET302, they were at 1,000ft above ground. According to The Wall Street Journal, the ET302 crew re-engaged electrical trim to save the situation, to get the nose up. It was their only chance. But too late. The aggressive MCAS kicked in and worsened the situation before they could counter it. We refrain from speculating more on the limited information we have available. What exactly happened in ET302 will be revealed by the preliminary report, which should be issued within days. We now know that if the Wall Street article and the rumors are correct, the Trim Cut-Out switches were used by the ET302 crew. In the event an uncommanded nose down stabilizer trim is experienced on the 737-8/-9, in conjunction with one or more of the indications or effects listed below, do the existing AFM Runaway Stabilizer procedure above ensure that the STAB TRIM CUTOUT switches are set to CUTOUT and stay in the CUTOUT position for the remainder of the flight? Nowhere is it described the trim could be impossible to move if the Cut-Out switches were cut at the slightest miss-trim at the speeds flown. And there is no warning on when to move the Cut-Out switches, the checklist says “Cut, then trim manually.” This is not the whole truth. What exactly happened will be known once the preliminary report is there. Today we know the crowing from Western pilots, “Typical third world crews,” was not called for. Anyone who has tried a correctly set up MCAS situation in a simulator is more muted. As someone else has pointed out, the use of Flap 1 would have turned off MCAS and restored electric trim, besides assisting with nose up attitude. Yes, but they were 100kts above maximum flap speed. I know its easy to say post, but screw the flaps and speeds and get them down. That could very well tear them apart. With the high aerodynamic loads possibly after they ripped off, they may hit the stabiliser as well. If you are going to die anyway take the last chance – been there, done that and still kicking. This is easy said – but there are more points to think about. Low, nose pointing down, fast – way to fast for flaps. Did the pilots identify the issue? Did they have time to think about it? Could they asess it in all it’s effects? Also it might be possible the effect of putting the flaps out, even if the hold, not break etc. might not result in a nose up momentum, the flaps add lift behind the center of gravety. Without a in depth analysis I would not judge something as deploying flaps 1 and it would be helped. 40 seconds it did take. More shocking is that Boeings advice (and all the pilot blamers “just do the checklist and cutoff switches”) have not been enough to save the plane. The matter is highly complex, the information is incomplete and the real function of MCAS is still not 100% clear. Boeing does look stupid at the moment, but I’m sure they had a reason to design MCAS as they did. For an example, using just one AoA sensor might be done for the different stall speeds of wings depending on the flight position the plane is in. Left and right wing have different stall speeds in some situations when manovering etc. Flap drives have clutches which will prevent deployment if the aerodynamic forces are too high. The reason why modern air transportation is so safe across the World is because pilots (all from different cultures) follow established and written procedures, often to the letter. Significant lateral thinking is not the job for the average commercial pilot, that job should be left to test pilots. This is especially true if there is minimal time for the pilot to think clearly, and the high probably of task overload at a critically dangerous situation. That is why memory items exist. And this is because problems start when pilots decide to MacGyver their way to solving problems rather following established procedures. For example that AirAsia accident after the captain decided to MacGyver a solution by pulling a circuit breaker. Far more lives are lost when pilots decide to depart from established procedures in favor of their own solutions. In this case extending flaps would be an illogical step for a task-saturated crew, and possibly a more dangerous step resulting in severe structural damage than re-engaging electric trim, immediately trim it out, and disengage it again. And if extending flaps didn’t work, some of you armchair commentators here would probably advocate the crew to start pulling circuit breakers. Some incidents, like the “Miracle on the Hudson”, require some degree of lateral thinking, but they’re very, very few and far between. That’s because of good systems design, redundancy, operations quality, regulatory oversight, procedures and training have largely eliminated the risk of unexpected events that cannot be reasonably foreseen and documented. However Boeing, with an ageing aircraft design and the commercial pressures of minimizing differences training for pilots, has been found wanting in terms of inadequate MCAS system design, lack of documentation and untested escape procedures that are now deemed wholly inadequate. And the company should be held accountable by both regulators and the court of justice. Flaps can be deployed partly say at Take off 150-180kts; you can deploy this config of Flaps up to 250kts. Maximum deployed flaps at 200kts+ is common during Landings. MCAS IS enabled ONLY when the Flaps are FULLY RETRACTED, otherwise the opposite, disabled. I’m not saying the task is easy, but partial Flap Extn is a possibility if not all the way up to 400kts. This is ALL Hypothetical NOW as I doubt ET302 OR JT610 will happen again, EVER. What was ET302 doing at 400kts in the dense air at 8000ft amsl? BUT the main issue is Early (<90sec from Takeoff and ~100ft AGL) Retraction of the Flaps, to save fuel and justify the New LEAP-1B 69" Engines of the Max (otherwise get NG!). They need to repost that video with faces blurred out. It’s important public info. I would imagine if they became aware of it, Department of Transportation’s Inspector General might be interested in requesting a copy. In their position I would be looking at every possible angle from any highly regarded professional source. Of course. This systems is so well covered in the FCOM…not. These guys would have been at sensory overload with a difficult to control aircraft shortly after TO along with initial EICAS messages that point to a Pitot Static issue and not an AoA sensor fail. All very good to say they should have selected Flap 1 well post event and seated in an armchair with a cold beer. Well, I know nothing much about flying, but I do happen to be an Automation Engineer and it looks like the MCAS system was designed and programmed by an intern. No error checking, no plausibility checks – just believe the sensor! One of the hardest things about automation programming is allowing for a failed sensor and this system arrogantly blames the sensor, or the pilot or the training. Take responsibility for your mistakes. These planes should have been grounded immediately after the first incident, but no, that would cost money. This is gross negligence on Boeing’s behalf worse than the BP Horizon disaster that paid out 65Billion in fines etc and 8 million per victim. Not allowing for inflation for 346 lives rather than 24 that works out at around 3Billion alone. That leaves a cool 62 Billion in fines at least. Big gripe of BP safety employees, hardly any of the fine/news coverage was related to the 11 dead. So how did American, Southwest, and United fly the same aircraft since 2017 and over 5 million miles without a crash? Small typo “Typical third world crews” is Crowing to early.” Should be too early. You could say that those asshats who blamed the pilots should be ‘eating crow’ now. Is this a fixable problem or is the 737MAX inherently unsafe? There is an article out there asking if the 737MAX design is worth saving. The 737 MAX is ‘too big to fail’ politically, and economically. They will fix / certify it. You’ll need to take a personal view on flying on a MAX in the future. Some of the big travel sites are apparently looking at adding options to allow you to choose the type of aircraft you wish to fly on. The Grand Jury could do with having Bjorn, and Mentour Pilot input as well as Peter Lemme. If travel sites (Expedia, Travelocity et al) start allowing people to choose (or filter out) aircraft, that will really hurt the airlines that chose the 737 MAX. And it might result in more cancellations than the mere temporary grounding of the fleet. That’s the nightmare scenario for Boeing — allowing the end customer to veto the 737 MAX. There’s already an app, apparently. I think I know what you mean, but Boeing cannot prevent passengers making their own decisions. It may well be too big to fail. But if (and I emphasise “if” – I’m not party to enough information to be able to say with any authority) the 737MAX is just too aerodynamically compromised to ever be considered “safe” then it really is game over. Discovering that is a big task now for the EASA, CAAC, etc. This must be the reason Boeing rolled back on the announcement regarding having the MCAS patch ready. This underlines the requirement of specific MCAS pilot training in an FAA approved simulator, and its consequence – new type certification, exactly that which Boeing attempted to avoid. Much like the criminal prosecution which won’t be avoided. Terrible. I can’t believe this. You can be mistrimmed and in IAS disagree with a NG also and unable to trim the plane even without MCAS ? It was stated the sim used was a 737NG. Can that be confirmed? Also, where did the video go? It’s not available on YouTube any more. Oh my gosh, what does mean for the MAX, is this an unsafe aeroplane that needs a complete redesign? This starting to cross my my mind. Maybe they fix one thing but whats the next that will pop-up? the fact that manual trim requires effort isn’t too surprising, but that the effort level is so high as to be effectively impossible in exactly the use case where you would need to use it? The issue why manual trim was so difficult was their excessive speed, they never throttled back which kept the loads very high for the mp to left handedly trim the aircraft. Is it actually possible to train the average pilot for this?I’m not a pilot, but it seems to me that theres a hell of a lot to try and cope with. @Grubbie has hit on an emerging issue: “average pilot.” More to come. Actually curl, bench will not be useful. Physical strength in a modern airliner? Time to turn them into beer cans. As I see it its not new, its just manifesting with this. Run away trim would be the same going back to the original 737. So don’t do the sim runs where it shows up and its not a problem. Thought about one of this ultra high-torque battery powered screwdriver in the pilot bag for this. @Scott, now there’s a reply just itching and bursting with frustration, restraint and wariness of, well, lots of things. One day I hope Scott and Bjorn will author a book on these events. To the rest of the engineering community a studied investigatory account of What’s Gone Wrong at all levels (corporate, sales, engineering, individual) will serve as a reference for generations to come. Over a month ago i came across a post in a different forum from a pilot who mentioned that it took 50 turns of the trim wheel to move horiz stab 5 degrees ( about 2 10 second bursts of MCAS ) at low altitude and relatively low speeds. Now it seems that that is what **probably** happened re ethopia but at higher speeds. I tried suggesting a change in umpteen year concept of using the trim wheel – manual for trimming – expected at altitude, etc. 3) Connect the gearing input to a say half inch drum on which is wound a steel 1/8 inch aircraft cable. One wrap = .5 times pi = 1.6 inches cable ( prox) . 6) Again- actual gearing numbers will be different – but trying to show process . Seems t0 me such a system could be installed such that ‘ starter cable’ handlem is near center counsel to be pulled by either pilot. Cable can be in tubing and of such length to mount on bulkhead, etc. Of course to approve or consider such a system would require admission of WTF were they thinking use 1950s prop plane trim systems for 50 years and never trying it out at low altitudes where no enough time/altitude is available !! It’s even worse than that. 50% of pilots are below average and hence if you build the plane for the “average pilot” it would mean that the pilots in bottom 50% would crash the plane in a similar situation. Not good…. Not sure the MAX8/9 will get re-certified to fly soon. In the next 4 weeks? Hum…not sure. 2 months? 3 months? Possibly. At 50-60/month MAX production… 3 months running ahead still works. Longer, i think we will see signs MAX production will slow. But as a chance for AB to leap ahead? Only a bit — long sourced items being what they are, the ramp up flexibility is limited. Can BA sustain that rate to cash outflow? Yes. They did with the 787. Still much $$ accounting-wise out there but they know how to get the system to work. I think even with a 6-12 months grounding, BA is still little impacted 2-3 years from now in $$ terms. AB can’t produce much more really. The market needs planes. Unlikely to get to that except maybe in China but for political reasons only. I can’t see a 12 months grounding anyhow. The MAX can be fixed. Sure it can be fixed. But that does not mean Boeing can/will escape unscathed. They will have to pay compensation for the grounding, compensation for the victims’ relatives. Then if the NG-to-MAX training requires sim time, they will have to pay also. These thing will quickly get into 5 billions range. I am not sure the max can be fixed with software only. And this also brings into question the entire 737 NG flee. With speed disagree and runaway trim, you are looking at a VERY dangrous situation. Can you just imagine the global chaos if one consequence of all this is that the NG is grounded too? Firstly, that hyperthetical grounding would be as a result of a major certification process failure (no one noticed it before now). Secondly, if *that* certification process went wrong, how about any others done by the same organisations / people? Like, 787, 777X, 747-8? I’ve written it before, but I’ll say it again. An aircraft is only as good as the certification process that puts it into the skies. It doesn’t matter how good the plane really is, it’s the quality of the certificaiton process that counts. Long, trouble free service life is potentially not enough; if the 737NG were to be grounded (a big “if” indeed) due to something found during the 737MAX crash investigations, that would be done in the face of decades of mostly trouble free operation. Will be interesting to watch what bargaining tools will be brought forward to “win over” the other certs. * A design is so maxed out that whenever you try to pull the sheets over the bones sticking out at one end you invariably expose something on the other end or even all around. Airbus probably won’t do anything to increase their production rate to make up for the currently hyperthetical discontinuation of the 737 family. In the time taken to do that ramp up starting today, Boeing (if they’re still around) would be able to launch a complete new aircraft. Issues that might make Airbus start going down that route are, 1) Boeing has been wound up and not replaced, 2) airlines simply stop buying Boeings, perhaps driven by a passenger boycott, 3) Airbus buys Boeing Commercial Aircraft out of bankruptcy, but only for the production facilities. Yep. That last one is a possiblity. Uncle Sam may decide that they don’t want to have to keep BCA viable by themselves, and are prepared to let it go to, well, almost anybody. Another option; if the 737MAX line does stop for a long time and Boeing stop buying parts, there’ll be a lot of component suppliers desparate for business. Airbus would be able to name their own price, because they’d be the only ones buying. Looks good for the C Series ramp up, doesn’t it? Airbus is already windup up production as fast as they can. Without a737 production (all suppliers terminated and can shift to A320) they could increase some but its still only some. Engine production would be one that in a year could shift, the rest??? Gear up for all different equipment ? There’s also something unpleasant about publicly going for the commercial jugular of a competitor when the opportunity to do so arises from the tragic deaths of people. There are limits to how cold blooded even Airbus executives can be. I suspect that amongst the emotions running through Airbus as the moment they will be pretty upset by what’s happened. The whole industry, no matter how remote from the actual cause, shares the shock. In the same way there’s no doubt 737MAX pilots in the US now thinking, “holy crap, that could have been me”, there’ll be senior execs in Airbus counting their lucky stars that they’re operating in a company that, so it seems, has avoided falling into the same situation as Boeing. Used to be in the industry that such an event- ALL players would circle the wagons. For example – the electra issue with ‘ whirl mode ” vibrations due to poor engine mounting tore the wings off. To solve the problem Boeing helped out with special shakers attached to the wings ( flutter mode stuff ) plus analytical help, etc. What it proved was the wings were stronger and stiffer than expected which unfortunately enhanced the natural frequency of loose engine mounts and . . .
I’d bet at this time that aIrbus is quietly evaluating their systems, and perhaps offering a ( impartial ) look at the data so far available. Its now the public confidence and how that plays out with the cumbersome to manage backup system. And why was this never revealed before and hanlded?, the backlash as Boeing is finding out on MCAS is bad enough, for they public to even perceive its an even more inherent issue covering all 737s and there is no answer ? Pheweeee. I’d not be surprised seeing Airbus going for 80+ A320s and 20+ A220s per month within half a decade. There’s also the possibility that they’ll start thinking seriously of a replacement for the A320 / A320Neo. They’ve done magnificently well with this ahead-of-its-time design, and they’ve not really had to do anything to keep it ahead of the 737 family. However there’s a possiblity that Boeing will extract themselves from their current difficulties by abandoning 737MAX (they might be forced into this by regulators anyway), and launching a whole new single aisle aircraft to properly compete. That would in effect mean that the 737MAX replacement gets brought forward by many, many years. Airbus no doubt have their own ideas about how to counter that replacement, whatever it might turn out to be, but they might need to turn those ideas into a launched programme a lot sooner than planned. The alternative, to simply deliver the 4000+ A320Neos that are on order, do something about a new design when that backlog starts easing off, is very dangerous. It’s called, resting on one’s laurels, which is what got Boeing into this mess in the first place. Airbus do need to be careful to no make the same mistake. So yes, they might bump up the rate to figures you suggest, but I wouldn’t be enirely surprised if they don’t go beyond that and concentrate on a whole new design instead. Ah yes, the A220-500, it’ll be interesting to see the take up of that. I wonder what flexibility they have to adjust the planned A220 production rate? I’m assuming that because it’s still early days in the ramp up that deals could be tweaked, buildings made a bit bigger, etc. I honestly question if the 737 NG is safe at this point. All these ancient controls in this day and age, appalling. I think its time to shut down the 737 line, and start with a clean sheet. This plane is simply not safe and I will avoid it where possible in the future. Is speed brakes an option or will that drive the plane into the ground? What could have broken the camels is that Boeing changed lots of little things too on the MAX (if true? “for a safer and better airplane” as some poster wrote elsewhere.) apparently including changing the place where specific functions handled in software are “homed”. Agree that potentially the Max is unsafe, but there are 1000s of NGs flying every days and they are not crashing, so why is the NG unsafe? Average pilots seem to know how to fly and handle an NG. The NG is less unsafe then MAX in that runaway trim is far less likely then MCAS intervention. But if you get runaway trim and are already battling speed indication, then you can get into this sort of trouble. Perhaps its not serious enough to worry about, but I am uneasy flying on a wing and a prayer. Perhaps that is the answer to your question. When is the ET302 investigation report (even if preliminary) due to be released? There was news that NTSB and Ethiopian authorities disagreed on how to interpret FDR data. Can you clarify what that was all about? on this, we don’t know more than you. We just have to wait. There’s vague hints in the Japanese press that the French authorities have been helping out beyond simply recovering the FDR / CVR data. That could simply be journalistic errors mistaking the original data recovery assistance for having a wider role. After watching the video I must comment that I flew a couple of times with Ethiopean Airlines and found them very competent and won’t hesitate to do so again. But on a MAX, not if I can avoid it even if its a “Topgun” US pilot. An aircraft is not suppose to be like this. As I said at the beginning of this debacle Boeing are being damned by lack of FBW. A Full FBW approach would have had to resolve all aspects of the flight envelope and the whole system would have been coherent and designed to work within that envelope before certification. Unfortunately issues with the MAX suggest that one problem was resolved only to give rise to another problem in development again and again. The bandaid approach to each problem has created something that now appears totally inadequate and unsafe. The issue is where do Boeing go from here? Until only yesterday it seemed Boeing were pushing for quick resolution based on a software update. Can they be trusted on any aspect of this matter to act in the public interest and look at the system conflict issues in more depth? I fear the answer is that they cannot be trusted, they are still prioritising shareholder value over aircraft design integrity. They are still pushing a second best solution based on getting the MAX back in the air quickly and are not willing to look more deeply at the very real issues with the MAX. If we can’t trust Boeing to do the right thing at this extreme juncture then how can we trust earlier design and development decisions. Corporations (like fish) rot from the head. The CEO and board should be thrown out over this. Boeing might change the throttle setting when this happens so the speed will be well within manual stab trim forces. Still Boeing migh add more Alfa probes and an type A320 logic to derive speed an alfa. We will see. There is a possibility for bigger chord elevators as well to give it more authority relative to stab trim. the world fleet of Maxes is ~375 aircraft. how much would a typical airline expect to profit per month per airframe? That was TUI with 15 aircraft. When I read that last week I did a basic couple of minutes guesstimate in my head based on fleet sizes, a longer than ‘brief’ grounding and on damages paid to victims previously and I reckoned on US$15bn and climbing. Before reputational damage causing lost orders, lost passengers, financing impacts, company strategy impacts, supply chain issues etc.. Would probably get a different figure if did it today and spent more time on it but I don’t see how it can be anyhting except very large. So, if true, an FAA fail again (bad AD) with multiple fatality consequence. Oh dear…. Presumably there will also be penalties payable to airlines while MAX deliveries are halted and new aircraft are delayed. I was under the impression that the actions described in the Emergency Airworthiness Directive had been tested in a real-life scenario, ie. one or several test flights done by Boeing and supervised by FAA. However it now looks like this list of actions is purely theorical and no actual test was flown, especially during the initial climb at flap retraction time. I hope I am wrong. “When any trouble arises, our pilots are trained to fly the damm plane, period”-Oscar Munoz,United airlines. I seem to recall their B737 fleet captain saying something equally stupid as well. How sad that the CEO of any company is expected to give statements about everything the company does, even if it is outside their competence. A long, and perhaps excellent career as a CFO isn’t good training to talk about technical aspects of the company’s operations !! I always have to laugh, seeing as how the pilots are first to meet their demise, they really have the option to quit? If you save yourselves (Pilots) you save the passengers. You can not save the passenger without saving yourself . Its nothing remotely like the Secret Service supposedly throwing themselves in front of the President and taking the bullet. That is sacrifice (assuming they really do it, not all will – its not like there is a way to test it). traditionally falls to accepting the (hopefully more) remote risk side. It’s UA, so yeah, of course they’re going to say stupid things. Stupid is as stupid does, and the fish rots from the head. In the next 10 years Airbus will be faced with the decision Boeing was faced with 10 years ago. Do they build a new single aisle or do they creating derivatives of the A320? My bet is they look at this is going wrong for Boeing and opt for a new aircraft taking cockpit design from the A220. The A320 by design is not the FUBARed layer cake the 737 has turned into. under the hood there still is still some real 737-100 tech working. ( compare to processors: Motorola had the well thought out future proof with roadmap design with the 68k. Intel had that 4bit design that was expanded and expanded ( always the lesser product that sold on better PR ) …. until they made the jump and changed over to a modern RISC machine that has a x86(-64) personality layered on. ( One layer. Not 10 ) and the better stuff is the foundation now. The A320 was 10 -15 years ahead of its time when it entered into service in 1988. The former rocket engineer —“I was used to missiles, where everything was automated”— made what Adam Brown calls “a very gutsy decision”: The A320 would have fly-by-wire (FBW) flight controls. In the A300, the yoke and rudder pedals were connected by cables to the hydraulic actuators that moved the ailerons, rudder, and elevators. On the A320, the controls would issue commands to computers, which would send electronic signals to the actuators. Concorde had an analog FBW system, and the technology had been used on fighters, but this would be its first use on a mass-produced commercial airplane. On conventional jets, springs and dampers give the yoke and pedals artificial feel. The pilot has to push harder on the controls to make the airplane climb or turn, the resisting force warning the pilot that the airplane is approaching its limits. The A320, instead, had envelope protection: The airplane wouldn’t stall, overspeed, roll inverted, or do anything the computers would not permit. Since the force needed to move the yoke was no longer necessary, Airbus eliminated both the force and the yokes, which were replaced by video-game-like sticks on the left and right sides of the cockpit. Fly-by-wire made the A320 clearly different from the 737, and savings in weight and maintenance offset the development cost. Northwest Airlines ordered 100 A320s in 1986, and United Airlines would eventually order almost 200 airplanes. It was Airbus’ first full-scale break into the U.S. market. The A320 had been in service only a few weeks when, in June 1988, an Air France A320 crashed into trees at the French town of Mulhouse. The pilots, who survived, claimed that they had tried to push the aircraft to perform a go-around but that the engines did not respond. Two similar accidents followed. The root cause, it turned out, was that the A320 was very easy to fly, and the ease masked the complexity of its automated controls. In its early A320 pilot training courses, Northwest experienced failure rates in the double digits. In 1993, Northwest flight operations director Clay Foushee summed up the A320: “On a gusty day at Washington National, you can look at an A320 fly and then watch anything else. Even with the unaided eyeball, you can see the difference in stability. It will do everything for you very well, but if you just sit there and let it fly itself, something awful will happen.” The solution was to train pilots carefully, with an emphasis on how to use the automated systems. There were no more A320 accidents after 1994. Boeing took a different approach to its own new design, the 777. Although it had FBW, it did not have envelope protection. The yokes and throttles incorporated electric drives that moved them as if they were connected to cables, even though they were not. Airbus was scornful. “Like putting a steering wheel on a horse,” scoffed test pilot Bernard Ziegler. That first A320 crash was wholly due to pilot error. The forest surrounding the airfield they did the flyover had trees higher than that, and they were at a steep pitch angle at near idle thrust. Perhaps ASM should have checked with the accident report rather than rely on the pilot, who survived. The aircraft was flying slow nose up and there was not enough time for the engines to accelerate to max power (from idle). Now, the flight-envelope protection system did indeed prevent the aircraft from stalling — leading to a soft crash in the forest with “only” 3 fatalities and 133 survivors (136 initially). The A320 was not ahead of its time, it was its time, sheese. All it is is a modern aircraft with FBW. Now the twisty front wheel is something out of a P-40 though. Oh, it was, fly-by-wire with flight envelope protection did not become the norm till perhaps the time of the 787. But still, 10 years from now it will be a 40 year old design and airbus must be wondering where-to? A decade hence total number of deliveries of the A320 ceo/neo series might be approaching 20,000 units — dependent upon further increases in production level output — and by that time (2030) it’s time to seriously look at the promise of LH2-powered aircraft and ultra low carbon emissions for single aisle airliners. I think it’s safe to say (corrections most welcome) that the first aircraft of any type that had all this was the F117 Stealth Fighter. That had computerised flight controls like nothing else. Considering its genesis, Have Blue, was a 1970s endeavour we have to look at that as a tremendous accomplishment in the art of flight control. It’s still impressive that such an ugly hunk of airframe can fly at all. Pity Lockheed didn’t stay in the airliner market. They could have easily beaten Airbus to FBW with envelope protection, and trounced Boeing. Concorde had earlier form of automatic flight controls. Sounds like a better control of stabilotor than the 737 max, and the A5 first flight was 1958. If Lockheed Martin is in, we will see another F35 scam too big too fall. Airbus has a great opportunity, stretch the A220 and build or do a deep upgrade for A321 optimized for 250 seats. The BIGGER question now has to be is the 737 viable? You now have to unload it (an possibly no altitude) even to hand crank. Is this truly the end of 737 confection? I liked confection better, actually thought it was 8ntended. Yea sometimes you get good ones. Point of course this has nothing to do with MAX directly, the same system of manual trim has been there since the first 737s. And obviously never has been addressed training or otherwise. How often do they practice loss of l envelope protection and no computer at all loss ? Sully turned on the APU so he had standard power and the envelope system was there. Hi TW, the way I see it the trim is critical equipment, in some cases, ie blowback, the aircaft can’t be flown without it. The big new discovery is that it doesn’t have a backup, as the backup, manual trim wheel, is unworkable. As such MAX and technically the NG should never have made it through flight testing and into service. The NGs good safety record is basically because without MCAS it never ended up at these AISs. Sort of good luck that it never did, but I’m also forced to wonder if there have ever been any NG accidents where inability to trim or distraction trimming, might have had a part. The 737 was originaly a much smaller airplane. The manul trim, presumably faces more resisrance, changed loads, etc etc. Throws up more questions about grandfathering and cert. of derivarives, doesn’t it? Might be fixed by an electric motor on the manual trim? Could become a retrofit requirement on NGs? MAX will fly again, realistically there is nowhere else to source the 5000 or so aircraft on order, but it will cost. Boeing has just given the MC-21 and Chinese equivalent a giant boost. Even if the Max flies again in the US with their superior pilots, it will face headwinds and additional testing elsewhere before being allowed to fly again. Notice that Ethiopian Airways asked France to assist with accident analysis? Boeing and the FAA have shredded their credibility. Also, wrong move by Boeing to tell US pilots that foreign pilots are somehow less competent. Like it or not, the NG is statistically as safe as the A320.So all you have to do is wait until they have delivered a thousand or so and flown for a couple of years and you can decide then whether it’s safe to board.The trouble is that it won’t take many people to do this to cause some real damage to airlines even if they fly only a few MAX. Yup, NG is not a very passenger friendly, but it is safe. Its operating history proves this. As for MAX, if you set a threshold of “I want to be confident that it’s no more than 10x less safe than A320/737NG,” then you want to see about 5 million flights with no catastrophic crashes. Each airframe does around 1,000 missions per year, so that’s 5,000 aircraft-years worth of flights, which takes 3-4 years at rate 50+. If you set a higher threshold for safety, you’d need to wait the better part of a decade (assuming it is in fact safe now). Safe unless you have to fight a run away stab and can’t neutralize the trim? Prediction (I know its shocking and seems absurd) 737 Max production will pause within 60 days. The pause may become a permenant stop. Global air travel is gonna take a HUGE hit, and some airlines are not gonna survive this. The door is open for the C919 A220 -500 will be announced and a massive ramp up of new airliners will commence. IMJ, the grounding of the 737 MAX is only going to be lifted (outside the U.S.) if the aircraft undergoes major hardware changes — such as being equipped with a larger horizontal stabiliser. If a larger horizontal stabiliser is a no-go, IMJ regulatory agencies should only re-certify the MAX if it’s modified into a full FBW airliner. Only computers should be allowed to control an aircraft like the MAX which is not aerodynamically stable throughout the flight envelope. 1) A320 (1988 EIS) type FBW with four computers teamed in command/monitor pairs which became standard approach for subsequent Airbus flight control computers. 2) or A340 (1993 EIS) type FBW having one command/monitor pair forming a “fail fast” module failing over to another command/monitor “hot spare” pair. Error detection through mismatched command, sequence checking, self-test when aircraft energized. Also, a second command/monitor pair using a different microprocessor and different software providing design diversity to tolerate common mode design and manufacturing faults should be included. I notice MentourPilots video is deleted, and the reference to it in this post is gone? Ok. I suppose you cant tell where he is employed? Hope the pilot doesn’t run into employment problems because of this video. It was really educational. To me the video looked a bit biased, it was made to prove it was hard/difficult to use the hand-cranking to control the STABs. Now, that I have learned that it was made after discussions with this web site, – who at the time seemed to favour the theory that it should be impossible. The ‘copilot’, that I understand is a student, was the one to turn the wheel. He seemed a bit helpless. Things got better when ‘mentour’ , who was the pilot flying, stepped in. It was hard, perhaps impossible, to turn the wheel in the EA accident. But as said, to me its making was to prove a theory. I watched it a couple of times just now; and ‘it’s biased. Perhaps I am as well!? Now if BA, and / or the FAA had done a similar exercise in a simulator we wouldn’t even be discussing this. I suggest again a supranational certification agency using the best talent from the FAA, EASA, CAA, TCCA, DGAC, CAAC etc. etc. as well as TSB, AAIB etc. would be a good idea. It would be funded using the existing budgets of the aforementioned agencies, and aircraft certification fees. An agency properly funded, and resourced. They’d need a mandate to put safety first, above business, and politics, and they’d need total authority. A separate smaller agency would be created from the same pool of experts to provide oversight of the new agency. Their mandate would be to ask difficult questions, to think outside the box. Wow the link to the video doesn’t work anymore! I guess a big corp was quick to shut it down…..
@Simon: The pilot’s employer wanted it removed. Thanks for the quick reply! Sad as it was really educational. Can you post a link to the Mentour Pilot youtube video you are referring to? @Brian: the video was removed at the demand of the pilot’s employer. How disappointing that they should take such action. Smacks of covering up on the frailities of the MAX. With respect to what Mentour Pilot mentioned in the video — about him and Björn Fehrm both being disturbed by the current media coverage and social media rampage about how pilots from different parts of the world might have different competencies, and how some pilots are better than others just based on where they’re coming from…..
First one out is Mike Boyd — perhaps the most despicable character in the American airline scene. Nr. 2: Scott Brenner — Boeing lobbyist? Nr. 3: Mr. Keith “Automentation” Mackey — LOL! Bjorn – given that the circumstances were bad enough that the pilots opted to reengage electric trim and the MCAS rodeo with it, what is the likelihood that any crew would have been able to recover from this? What hasn’t been mentioned here is that the pilots apparently did get the plane nose-up after reengaging electrical trim, presumably by using the tabs on the control column, because the plane went to a very fast ascent (last recorded vertical speed was upwards). As we know, MCAS should be inhibited by using the trim tabs; it will just start kicking in 5 seconds later. So it seems the pilots were temporarily able to save the plane using electrical trim, and as in the Lion Air case, could have continued to make tab inputs to keep the stabilizer (and the plane) level and then cut off the switch, but seemed not to have taken either of those steps in the end (continue electrical trim adjustment or cut electrical power once the stabilizer was at a neutral position). So the prevailing assumption here that there was no way out may not be true. Amazing that the sequence leading to the cut out switches then made trimming almost impossible at these speeds and altitudes. As there are no commecial simulators with full 737MAX setup how did you get the MCAS running in a 737-800 simulator? Claes, they didn’t test the MCAS. They used the NG simulator to check the hand-cranking under certain conditions. I guess that this task i (very) similar for the NG and the MAX. Seems like the non-normal procedure for IAS disagree and/or stab-trim runaway needs a little expansion…watching the video, I couldn’t help but think why aren’t you bringing the power back? If aerodynamic loads are increasing/higher force needed on the yoke, wouldn’t you associate that with increasing airspeed (assuming the trim position hasn’t changed, like it should if the cut-out switches are off). By bringing the power back, and cross checking with other ASI’s, plus the raw data page in the FMC, that would give you comfort on actual airspeed, irrespective of the stick shaker and/or clapper. It seems we’ll never capture all failure modes and required crew actions in the QRH…at that point, falling back on airmanship/experience is the last resort. And pulling back power- at less than 1000 feet altitude with flaps up is a normal- trained reaction ( other than landing in an emergency ) ?? Boeing’s publicised fix for MCAS seems partly to be about disabling it automatically when it goes wrong (e.g. AoA disagree), and thence not turning off electric trim altogether. The continued availability of electric trim would then presumably allow a pilot to recover the situation. However, what that does mean is that the fix’s new function that decides to disable MCAS really, really must work. If it fails to detect an MCAS error and fails to stop MCAS doing what it’s doing, the pilot’s only recourse would presumably then be to cut the power to the whole trim system, much as the emergency AD describes for old MCAS. The import of this article, if the information is correct, is that in those circumstances it may already be too late to save the aircraft. 1) is comparing the readings from 2 AoA sensors enough, or is the probability too high of both having the same fault? Bearing in mind that everyone seems mystified that 1 single sensor can go wrong, one could argue that we have an incomplete understanding of the possible failure modes. 2) is the flight control system that takes this decision properly implemented for the safety requirement – i.e. at least duplicated, voted, etc? I don’t know the answer to this, but given that first time round it seems MCAS was put in the category of being “not safety critical” there might have been no reason to make it duplicate / triplicate. If so, then it won’t be changed by a mere software fix. 3) are the other new functions, like limiting MCAS inputs to 1 per high AoA event, and detecting high AoA events, adequately specified against all possible flight conditions (turbulence, etc), tested, etc? Oh, and is anyone else thinking that the case for grounding the 737MAX after the Lion Air crash should probably have been explored more thoroughy? It’s almost difficult to state how bad this latest analysis/news is, if accurate, for the Max program. Ugh. Things are about to get pretty ugly for Boeing. A supplier pause would I think need to be implemented in about 30 days. And is this also the issue with the Original, Classic and NG and certification for them? Ugly secret all these years? It broke Boeing philosophy “pilot has the absolute say” in a grand way and introduced stealth activity by the airplane working against the pilots. To make it stick its existence was hidden carefully. IMU that makes the prerequisites for murder. Probably not for the Original, assuming that manual trimming would have been much more prevalent in those days. And I suspect there weren’t automated systems of any sort that could rapidly create the conditions explored in this article. But as soon as such an automated system was introduced with the *potential* for extensive trim authority under fault conditions, then that was the point when grandfather certification should not have been allowed, and the ugly secret was created. How about run away stabilizer on takeoff? Or is it just run away stab is extremely rare to almost unheard of? I’m just an average passenger for the most part but somehow involved in the aviation industry job-wise and therefore interested in this subject. Apart from the technical aspects, I’ve often felt there was some kind of arrogance by Boeing aficionados towards Airbus, calling Airbus pilots “bus drivers” or computer operators, while real men presumably prefer Boeing because they are completely manually controlled. I wonder if this kind of mindset of presumed infallibility contributed to a lack of awareness of potential consequences and of necessary attention that is required when designing a flight control system add-on based on software and sensors. Maybe even more so when it should only interfere in certain situations at the edge of the normal flight envelope and therefore to some extent catches the “real pilots” in the cockpit by surprise. If I understand that correctly, in the case of a serious sensor malfunction the computer assisted flight control system on Airbus kicks out, resorting to manual FBW control, while on the 737 MAX it kicks in with false data, overriding the manual non-FBW control massively in the wrong direction while the pilots are completely unsuspecting, and then they must counteract with a quite non-intuitive procedure (if possible at all) within seconds. That’s reason enough for me to avoid flights with my family on 737 MAX (and possibly also NG) aircraft for the next few years, regardless of what Boeing will claim once the fix is approved. Here is the solution for Boeing to get out of their current dilemma with the MAX. Buy into the Russian MC21 program, help the Russians improve their plane to “Western” standards and then brand it as the Boeing NSA aircraft. Boeing then offers MAX customers their new NSA airliner as replacement at same price as the MAX. Note that the MC21 is currently in flight testing, Boeing can help them reduce their supply chain costs by switching the MAX supply chain to support the MC21. That should create problems for the Airbus A320/21NEO family. It would force Airbus into an earlier than planned replacement for their NEO line. Off course for Boeing, this is only possible if they can figure out a financial solution that enables them to make the acquisition of the MC21 program, pay the liabilities associated with the MAX crashes and their aftermath (grounding and airline claims against Boeing). That’s certainly a creative way out of the current situation. I’m sure that you would agree that, as well as financial barriers, there’d be some fairly major political, commercial, sales, manufacturing, tax, reputational and public relations issues to resolve too. Plus, the Russians might not want their MC21 program to become “tainted” by an association with Boeing, or be seen to be bailing out the Americans at the cost of trading under their own name and branding. “Fly American Airlines, courtesy of the Russians!”. Stranger things have happened. Fly Americans on Russian rockets courtesy of NASA ? @Matthew – Certainly agree with your points. There is a solution to the possible Russian political objection (Western Embargo etc. that could deprive of aircraft for their own use or sale to clients) to “handing” the MC21 to Boeing. That solution would be similar to what the Russians did with the YAK 130 jet trainer. Have 2 versions of the same airframe, one with Russian kit as they plan to do, built in Russia, with a second “Western” model with “Western” kit and modification built in the USA with a second line in Russia. In the case of the YAK 130 I cite, the “Western” model is a heavily modified version built and sold by Italian Aermaachi as the M346 Trainer which has been a commercial success. A similar attempt was made in the commercial airline arena with the TU204 back in the 1990s with Rolls Royce RB211-535 engines and “Western” avionic. This attempt was less successful commercially. That will save Boeing the 8 years it takes to develop an all new aircraft. But they are still looking at 2 years of due diligence and negotiation plus 5 years of supply chain growth before they are back to building 50/month. No, if the Max fails they are in a terrible place commercially. This is true even if someone gives them an all new aircraft (hey, it happened to AirBus). Yeah well Russia would never agree to that. You think why Russia want to develop & produce MR21? 1) Boeing sanction has crippled Iran aviation. Russia want immunity. 2) CIA has been known to install remote drone control, patented by boein & Honeywell. This will essentially endanger a nation security flying boeing plane. Boeing must be replaced asap. This remote drone control is patented by Boeing & Honeywell. 1. To stall a hijack like (((911))). 3. To crash the plane killing targeted people like accident. 5. To act as attacking missiles. 6. To divert into a war zone to be shot down or some country sensitive area to spy. Eg. Accusing Russia shot down MH at Ukraine. As I said a while back and said serveral times since, it’s inertia. It’s kicking in at low attitude and there is no time to correct. Which means, it’s all about natural stability. In other words the nose is twitchy. It wants to go up. The higher it goes up the more it wants to go up. MCAS responds by issuing a ferocious nose down response. Inertia kicks in. At low attitude, your done. Especially true if the elevators have been overpowered. The grim reaper. Thanks for admitting that it is unlikely to be blowback. Not in the 250-350 knot region. Blowback was associated with higher speeds. But at higher speeds it is no longer a problem. As an outsider to the aviation industry only and having no formal knowledge of how the 737 works other than my readings on the net. I do have a question that I have struggled with from back when the first accident occurred, regarding what follows on from what would happen after switching off the power to the trim function. There has been much of the commentary that these accidents were due to poorly trained pilots that didn’t know that all they had to do was flick a switch to disengage the horizontal stabiliser and the problem was solved! Sure that may address the impact with terrain … but what happens next? Power to trim the horizontal stabilisers have been cut off – but now we have an aircraft in an upset condition, likely pointed at the ground with an increasing airspeed and needing to be controlled with manual trim that is presently set to an excessive nose down position. Given Boeing’s testing identified a need to introduce MCAS to keep the handling of the MAX in-line with that of the NG, it seems to me that by pushing the button to isolate the trim function from MCAS, our brave pilot has just appointed himself “Test Pilot” with 150+ souls on board. The pilot needs to now restore straight and level without the aid of MCAS, before returning to conduct and precautionary landing. How easy is this to perform with MCAS disabled? What if our pilot then needs to Go Around? If it is easy, why did Boeing have to implement MCAS? If it is not so easy why is there no training for address this event? Is it more difficult the greater the nose down setting to the horizontal stabiliser and how much altitude is required to recover? Is this it possible for this situation to occur at cruise altitude and in which case, what are the recovery scenarios and would they require pilot training? It all seems too simple a solution at present to just push a button and all is fixed, or am I just missing something obvious? You’re not the only person wondering that. We don’t really know if MCAS is simply a marketing tool (MAX flies like NG. Pilots ok for both), or is fundamentally necessary (handling pitch up at speed is too difficult for “average” pilots). As I understand it if MAX pilots need seperate training it becomes a sparate rating. Then airlines will need to negociate new, no doubt higher, pay scales before pilots return to flying them. So I imagine, if I’ve got this right, keeping the common rating is about a lot more dollars than a few hours in the sim. Anyway, the problem is no longer MCAS, its no workable backup of a safety critical system. Fuel efficiency is a potent driver of design details. Main wing induced drag in cruise is a fuel-thirsty parameter. Due to its fan diameter handicap, the MAX vs NEO fuel picture put stress upon Boeing to recoup = how about installing the Leap-1B on the wing in a way to minimize the wing’s induced drag in cruise ?? It not abouit MCAS, which has nothing to do with anything other than a crap design. It has to do with all 737s that have a hard to turn wheel when stabilizer is loaded. If the stab runs away (reasons for the Stab Power Remove Switches) then you are at least in the early edges of this. You see it, you recognize it, you TURN STAB OFF and you are at 1000 feet with down stabilizer to pull it out. What are the chances to manually trim the plane minutes after take off? 0.00000000001? So this scenario was overlooked. 350 MAX-es * 3 flights a day * 365 days = ~365.000 flights last year (assuming the fleet was about this size in 2017) It s one of those cases when they spent 10.000 hours on some important issues and only 5-600 hours on others. This is understandable in any other domain except aviation. Presumably at a very safe altitude. This seems to imply manual trim “before” motor shutoff? That doesn’t make sense. Manual is more powerful than the motor? What’s the story here? Could it be true that Boeing never even tested its remedy if the MCAS became faulty in a real airplane? This is getting even more awful. The rhetorical questions and pronouncements of awfulness are getting a little tiresome. Can we please have some informed discussion around findings and potential recommendations? but the trim of the elevator apparently was not enough to return or help the stabilizer to ‘neutral ” and speed was increasing due to autothrottle and lights, bells, whistles, stick shaker may have had a disorienting effect – plus no mention of pulling throttles or taking them out of automatic …. you have at best 15 seconds to fix . .
Is it possible to completely rule out these problems from the tartarstan and flydubai crashes? I have seen another report that cited the key failing was giving MCAS unlimited control authority — that it is able to crank the trim all the way to the stop, and not just enough to correct a nose-up event. But nobody is talking about fixing that. Why not? Beating up on Boeing is fun, but Air France stalled out because AirBus *averaged* conflicting control inputs, instead of sounding an alarm when it was detected. Have they even fixed that yet? Now Boeing are saying that a bird strike or fod hit the aircraft sensors that crashed the aircraft . I can’t see software fixing this. The underlying reason why MCAS was introduced needs to be addressed. The 737 NG is safe, the stats prove it, although it isn’t easy to fly because of it’s wish to go pitch up/nose up. But at least pilots have shown they can contain it. So what’s happened. The concensus is that pitch up/nose up is even more aggressive on the 737 MAX. The view was that pilots could not contain it. So MCAS was introduced to contain it. Mechanically a solution is to resize the stabiliser/elevators to dampen/prevent the pitch up/nose up tendency. Especially resize the elevators to ensure they cannot be overpowered. You can move the wings back a bit to move the CofL back. Or add weight at the front to move the CofG forward. But in both cases there is still a need to address the stabilisers/elevators to ensure the moment arm is enough. Time to get a blank piece of paper out! But it appears that the goal is to get the MAX back in the air as soon as possible with the minimum amount of changes. No changes that will affect the type rating. The FAA may, or may not allow the MAX to fly again with the type rating unchanged, but I wouldn’t be too sure that EASA will take the same view. I think hardware changes are inevitable to allow manual trim to be achieved no matter the aerodynamic load. It may even extend back to the NG. Moving the wings back a bit is not going to happen, it would be far easier to lengthen the undercarriage, and put the engines where they should be. I would have thought that while moving the wings back would be extremely difficult, moving the fuselage forward would be relatively easy. Of course @Grubbie you are correct. If we see a pause in MAX output at Renton, it might hint at a hardware solution is required, or it may just mean that the software fix / certification is going to take more time than BA would like. If they were going to shorten the fuselage aft, and lengthen it forward, they’d probably want to stop building it was it is. Anyone monitoring the output of Spirit ? I understands Bjorn’s theory that because MCAS 2.0 is significantly less ferocious than MCAS 1.0, the ferocity of MCAS 1.0 was never necessary. Hence do the least necessary. Something I can never disagree with. But what if the ferocity of MCAS 1.0 is necessary. In other words, the pitch up/nose up is so aggressive that it needs a huge force from the stabiliser to prevent stall. It all very well to suggest those who wrote MCAS were idiots – they were idiots for lots of reasons – but perhaps they did understand that the pitch up/nose up tendency was aggressive. This latest revelation that you needs to go to the gym everyday, even then your not going to succeed, leaves me speechless. Flight Global is now saying that MCAS 1.0 trims nose down at .27 units/second but the pilot can only trim nose up at .18 units/second manually. The definition of a unit is unknown. That also leaves me speechless. This then comes to performing a test where the trim stabiliser is full down in a speed range 250-350 knots. Why wasn’t that test performed? Then they would have known that the elevators can be overpowered. Perhaps they did perform the test, but kept the results secret. Either way, I’m speechless. After I learnt that the trim stabiliser can overpower the elevators I said that Boeing don’t know the envelope of the 737 MAX. As I learn more and more those words keep returning. Sofware algorithms are only as good as the data that triggers the algorithm. If Boeing don’t know the envelope of the 737 MAX then the data is bad. If the data is bad the software algorithm will also be bad. Bottom line. Anybody willing to fly in a 737 MAX as a death wish. Not me. But yes, Boeing will try and bully the regulators and customers into returning the 737 MAX into service. They will claim that MCAS 2.0 is right even though everything suggests they don’t know the envelope, which means they don’t know the definition of right. In Bjorn’s Corner: Pitch stability, Part 10. he has a pitch moment curve as Figure 1. I wonder on what data is this based ? 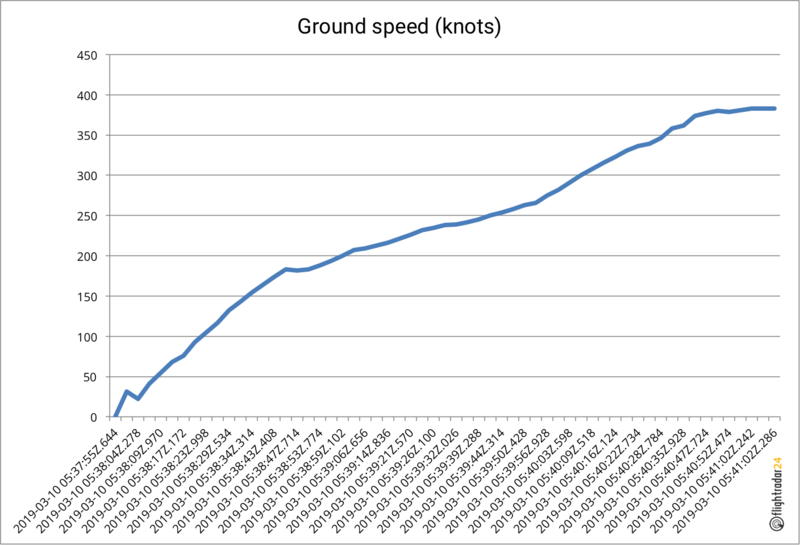 Data from BA where they were claiming that the stabiliser would only move 0.9 degrees, or the curve to go with the 2.5 degrees that they stated in the AD after the Lion Air crash ? I wasn’t really joking about going back closer to the NG with lengthened undercarriage, it would improve things, how much is questionable, will it happen, I really don’t think so. They want to solve it with software on a non fly-by-wire aircraft. I keep coming back to the same questions, why is MCAS so necessary ? Why did they change the column back trim cut out ? When they release the MAX to flight again, would I fly on one ? At the moment I’d have to say no, not because of what I know about it, but because of what I don’t know. When BA announced MCAS 2.0 there wasn’t a hint of the possibility that manual trim in some circumstances appears to be impossible. I’m grateful to Bjorn, Peter Lemme, Mentour Pilot, and others for being willing to ask questions, and test hypotheses in the name of safety. And I’m grateful to Scott for hosting such an informative, and open blog. Yes, I agree. You added questions to my questions. All I can do is agree. Thanks! P.P.S. Putting a tonne of concrete in the nose is more serious. Airplanes have been known to fly with ballast to fix stability issues. As a general remark it is fascinating how this rather complex issue is being discussed by individual experts (Björn, Mentour, Lemme) in a very competent way so that an interested public is not dependent on official reports and sources only. The official preliminary report has been released by the Ethiopian authorities just over an hour ago and has been picked up by major news sites around the world. It confirms that the pilots followed Boeing’s recommended procedures but were not able to save the aircraft. To the scrap heap in the desert . Change the shape of the nacelle to get the aerodynamics. Like NG but upside down? This MCAS issue reminds me the Columbia space shuttle disaster where some engineers at NASA failed to acknowledge that the foam hitting the heat shield at high speed could create substantial damage. Also, the point about the force on the jackscrew is not complete. When the incidence increases the center of pressure moves forward thus getting closer to the pivot point. Then, the force on the screw won t be that high as the pivot point is taking more load. The point made by Lemme should take that into account too. Personally, regulators should look carefully on the electrical motor operations did a overheating happens that later led to catastrophic failure. This could explain the smell in the lion air case and witnesses talking about smoke. Even though they could be false. People continue not to get the heart of this. On the surface its MCAS. Behind that is an extremely difficult to work manual backup system with the hand wheel and the aerodynamic forces that can be acting on the stabilizer. MCAS clearly can be fixed. The backup system no. That is the chilling part. Although I understand the concerns and questions the youtube video may have spawned, it was an excellent representation of the physical strength needed to manually trim an elevator on a 737 traveling at 300+ knots (blowback speed?) – essentially it was not physically possible. Makes sense as to why the Ethiopian pilots would need to turn the stab trim back on in the hope MCAS would not activate but then have electric motor assistance in rotating the jackscrew. The brave pilots fought to the bitter end. Anyway, hope the video goes back up at some point. IMJ, when you take a (long) hard look at the primitive 737 mechanical flight control system, isn’t it quite atrocious that thanks to this antiquated flight control system — seemingly gone rogue — pilots on two “new” passenger-carrying MAX aircraft have had to fight the control column, that is mechanically linked to the control surfaces, with brute strength and raw muscle power. AFAIK, all passenger aircraft designed in the west since the 737 have flight controls that can’t be be controlled without hydraulic power (from the 747 and onwards). Of course, if there is loss of all of the hydraulic systems on a large commercial airliner, the flight controls are uncontrollable. However, that’s only occurred three times since the EIS of the 747 — the Japan Airlines Flight 123 out of Tokyo in 1985, the United Airlines Flight 232 that crash-landed at Sioux City in 1989 and the 2003 Baghdad DHL A300 attempted shootdown incident. To reduce exposure to ground attack, the aircraft was executing a rapid climbout. At about 8,000 feet (2,450 metres), a 9K34 Strela-3 (SA-14 Gremlin) surface-to-air missile struck the left wing tip. The warhead damaged trailing-edge surfaces of the wing structure and caused a fire. All three hydraulic systems lost pressure, and flight controls were disabled. The aircraft pitched rapidly up and down in a roller-coaster phugoid, oscillating between a nose-up and a nose-down position. As in the case of the 1989 United Airlines Flight 232 disaster in the United States, Captain Genotte could only use thrust to modify pitch, speed and altitude and vary throttles asymmetrically to control yaw and turn the aircraft. Flight engineer Mario Rofail executed a gravity drop to extend the landing gear, a procedure normally accomplished with hydraulic power. Early deployment of the gear was critical to a safe outcome because increased drag helped reduce speed and stabilize the aircraft. In about 10 minutes of experimentation, the crew learned to manage turns, climbs and descents. After a meandering trajectory, they executed a right turn and initiated a descent path to Baghdad International Airport. Now compared to the 737 — where pilots have to manually trim the aircraft using the plane’s trim wheel in order to regain flight stability — on the A320 a screw jack drives the horizontal stabilizer. The screw jack is driven by two hydraulic motors that are controlled by one of three electric motors or by the mechanical trim wheel (through cable). Why should passengers expect anything less on a modern aircraft in the year 2019 — where in an emergency situation pilots won’t have to use all of their strength to fight a control column and an impossible-to-move trim wheel, in a time-critical situation where the correct decision-making is of the utmost importance. Normal Law: for a given amount of sidestick deflection a given amount of G loading (pitch, elevators) or roll rate (roll, ailerons, spoilers) regardless of airspeed. Pitch is always kept in trim automatically. Flare mode memorizes pitch at 50’ and then gives slight pitch down at 30’ for normal flare feel. Bank past 33° requires constant input or will automatically return to 33°. “Hard” protections. Green equals signs “=”. <b<Alternate Law: Flight control will revert to alternate law after multiple failures of redundant systems. Autotrim still available. “Soft” protections (Stabilities). No protection in roll, roll goes to direct. Pitch goes to direct for landing when landing gear extended (no “flare mode”). It is possible to be in Alternate law without speed Stability and/or Yaw Dampening. Aircraft can stall. Amber “X’s”. No Alpha Floor. Alternate Law Protections (think of as “737-300 mode”). Direct Law: Lowest level of flight control law. Proportional movement between sidestick deflection and flight control deflection. No autotrimming. No protections. Overspeed and Stall warnings available. The default mode on the ground in all cases (think about it, if you are on the ground you cannot have a G load or roll rate). This mode is most like a regular airplane (“DC-9 mode”). Amber “USE MAN PITCH TRIM”. Abnormal Law: This is entered by the aircraft being in an extreme unusual attitude (about double normal limits). When back to normal attitude aircraft is in Alternate Law except does not go to direct law on landing and no pitch protections. Computer reverts to Abnormal when it sees the aircraft in unusual attitude because computer logic says aircraft should not have been allowed by normal law protections into this attitude in the first place, therefore computer sees something is wrong. and SEC’s and send data to the EIS and CFDS. ELAC or SEC and hydraulically actuated. Elevator – Each elevator has two hydraulic power sources and two actuators (one active and one in damping mode). Left Elevator – Blue and Green hyd. Right Elevator – Yellow and Blue hyd. Horizontal Stabilizer – Electrically controlled by one of three motors or mechanically controlled by the pitch trim wheels (through cable) and hydraulically powered by green or yellow hydraulic. After touchdown the stab trim is reset automatically to zero. Roll Control – provided by ailerons and spoilers. Electrically controlled by ELAC (ailerons) or SEC (spoilers) and hydraulically actuated. flaps are extended. If both ELAC’s fail then droop is deactivated and the ailerons streamline and only spoilers are used for roll control. I am sensing a reluctance to address whether pilots can get themselves into a similar irredeemable mess with the trim on the 737 NG.Is it that no one is sure?I can’t quite understand the flyduabi crash,I know that it was basically disorientation but stabilizer trim was also involved. MCAS 1.0 is installed not without security reason, besides the remote drone control system*. Boeing engineers even tuned it a few deg more aggressive than original specs for/after testing in violation. MCAS2.0 if tuned to less aggressive with disabled button, that will exposed the original problem of why MCAS1.0 was required at first place with double aggressiveness. In either way, safety is compromised. No amount of software tuning can help correct the hardware design flaw. *if CIA need to crash a targeted plane, that nose dive feature is essential. Just scrapped 737 Max, start a new. Another crash will finish off Boeing & FAA(already lost all credibility). Btw, EASA with Airbus won’t like to see Boeing get off the hook too easily. Its a $100B qn. Canada has a score to even, US 200% tariffs killed its most promising Bombardier new 200 seaters resulting in its sold off. China certainly want to go all the way until c919 is completely certified. It also has Huawei banned & Meng kidnapping to even score. Russia MC21 is all ready to replace 737 Max with same optional jet engine for same fuel efficiency & easy std maintenance. BA is in strongest head wind. If it can’t survive, may be it can sell its aviation business to Canada as a compensation to Bombardier. I un-subscribed from the Boeing Excuse Channel. This “defending my employer at all cost” was the most despicable spectacle I’ve seen on YouTube so far. So when you don’t want to speculate, why do you post videos about an ongoing investigation at all? Why do you need hour long videos defending a Boeing 737 Max 8, if you don’t even have preliminarily report? These actions destroyed all remaining trust I had in the aviation industry. “When it’s fixed, it will be the safest aeroplane in existence.” – Such claims make me very suspicious.